Kelly McDonald, Sr., is a well-known financial educator in West Tennessee. His financial planning* seminars have been widely attended by people in the West Tennessee area. He specializes in working with retirement planning, asset management*, business insurance, business retirement plans, retirement distribution and estate planning. He helps his clients avoid the common mistakes made by many people and explains how he has counseled hundreds to avoid these pitfalls. Mr. McDonald has helped people reduce their income tax, avoid taxes on social security income, avoid estate taxes and protect their estate from probate and other unnecessary costs. His clients include people from all walks of life including attorneys, teachers, physicians, government employees, business owners, corporations, and business executives. Mr. McDonald is a graduate of the University of Tennessee, Martin where he earned a B.S. degree. His career focus in Investments*, Financial Planning* and Insurance started in 1980. For the past thirty-six years, Mr. McDonald has had several positive experiences in the insurance and financial planning industry. For twenty years, he worked for a Fortune 500 company where he built and ran one of the most successful insurance and branch organizations in the nation, consistently ranking in the top ten percent of the company. In February of 2001, Mr. McDonald opened The McDonald Group. Since then, The McDonald Group under the direction of Mr. McDonald, has opened over 5000 accounts in the West Tennessee area. Kelly is the principal of investments* and insurance operations for the group as well. Mr. McDonald has worked diligently to educate himself in the areas of financial investments and insurance planning. He has attended the American College in Bryn Mawr, Pennsylvania and earned the following designations: Chartered Life Underwriter (CLU), Chartered Financial Consultant (ChFC), Chartered Advisor for Senior Living (CASL), Life Underwriter Training Council Fellow (LUTCF), Retirement Income Certified Professional (RICP), and CERTIFIED FINANCIAL PLANNERTM professional. The American College is recognized as the industry leader in advanced training. In 1988, he completed the Agency Management Training Course (AMTC) offered by LIMRA International. AMTC is the industry’s premier skill development program for field managers. This intensive, peer-oriented program helps participants develop and enhance basic management skills in the critical areas of planning, recruiting, selection, training, and performance management. Kelly has qualified for the prestigious Million Dollar Round Table seventeen consecutive years achieving Life membership, a designation achieved by less than 3% of all Financial and Insurance Professionals world wide. Qualifying for Court of The Table four times and Top of The Table three times, designations achieved by less than 1% of industry professionals. 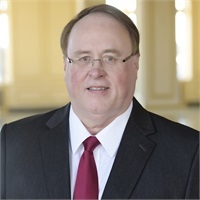 Kelly has served his community as treasurer and trustee of Trinity Baptist Church and as a board member of the Jackson Area Life Underwriter’s Association.